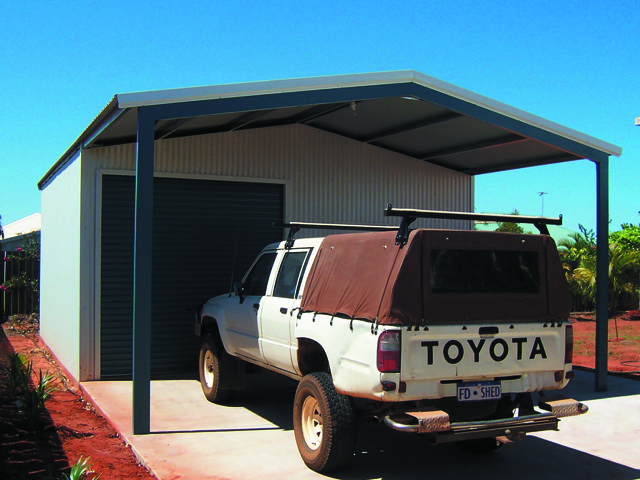 Add a practical and attractive garaport (a carport for your garage!) to provide additional undercover space attached to your garage. Garaports provide a cost efficient way to benefit even more from your investment in a garage. Adding a garaport can double your shaded car parking without doubling the cost of your garage. Get a real shed with real value thanks to our national buying power. 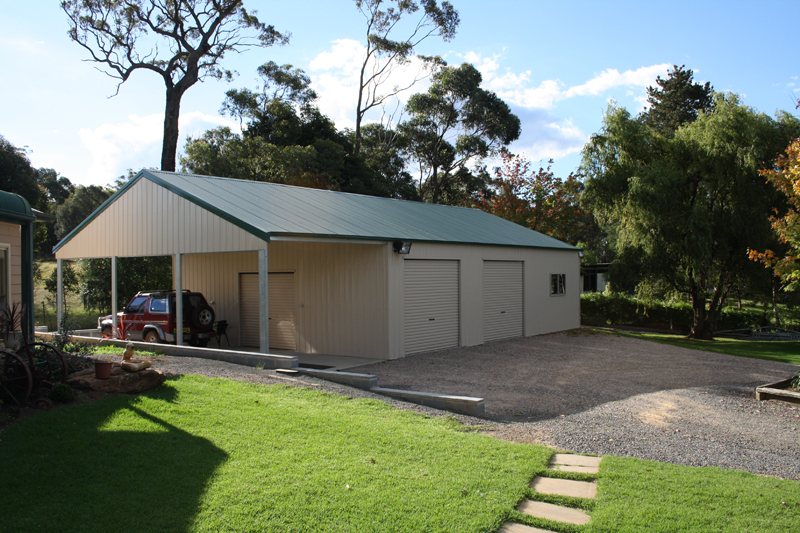 Our New Zealand steel double garages benefit from our design, engineering and supply expertise. 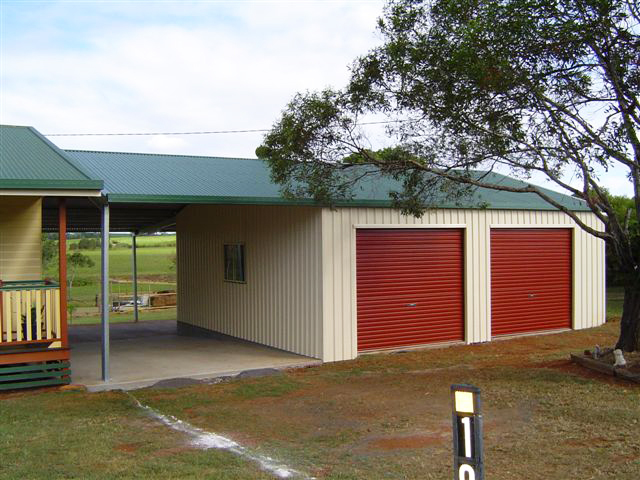 And all Fair Dinkum Sheds are constructed from quality COLORSTEEL (r) or ZINCALUME (r) steel and other quality components.